The mission involved formulating deception plans, building artificial harbors along the British coastline, figuring out how to effectively launch 12,000 planes and 7,000 vessels, land 24,000 paratroopers into enemy territory, get 160,000 troops across the English Channel and onto and over 50 miles of beaches, plotting how to then re-supply those men as they made their way into France, and numerous other details. “Someone had to give the bureaucracies direction; someone had to be able to take the information they gathered, make sense out of it, and impose order on it; someone had to make certain that each part meshed into the whole; someone had to decide; someone had to take responsibility and act. Eisenhower accepted the burden stoically, and worked 100+ hour weeks for months, poring over the logistics of this great undertaking. Finally, by June 2 nearly all the pieces were in place. Only one great decision remained: choosing the exact day and time for Operation Overlord to commence. The window for the launch had already been selected: June 5-7. During these three days, the conditions that would give the operation the greatest chances for success would converge: a full moon to help gliders and aircraft identify navigational landmarks as they flew in and dropped paratroopers the night before the invasion, a sunrise time that allowed 40 minutes of daylight to complete aerial and naval bombardments before the GI’s hit the beaches, and a low tide so obstacles and mines the Germans had placed in the surf could be removed as the landing craft came ashore at Normandy. But the specific day and hour for Operation Overlord to begin had still to be decided upon. 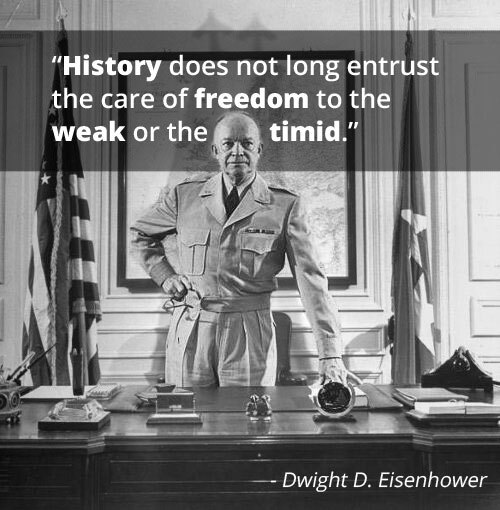 Again, the responsibility for making that decision rested squarely upon Eisenhower’s shoulders. And despite all the planning that had come before, the outcome hinged on a factor that was entirely, frustratingly, out of his control: the weather. Ike tentatively set June 5th for the launch of Operation Overlord. The countdown began on June 2, when SHAEF set up its headquarters in Southwick House, a stately country mansion located just north of Portsmouth. As always, Eisenhower chose to make his quarters in an unpretentious, unheated trailer he dubbed “my circus wagon,” rather than in the home’s more comfortable bedrooms. Twice daily weather briefings — one at 9:30 pm and one at 4:00 am — were held in the Southwick House’s library turned command room. At the evening briefing on June 3rd, Eisenhower and his invasion commanders — General Bernard Law Montgomery, Air Chief Marshal Arthur Tedder, Admiral Sir Bertram Ramsey, Air Vice Marshal Leigh-Mallory, Lt. General Omar Bradley, and Eisenhower’s chief of staff, Major General Walter Bedell Smith — gathered in the sparsely decorated room, taking a seat at the long wooden table at one end or in the upholstered easy chairs scattered about on the other. Dark oak bookcases, mostly empty, lined the walls, heavy blackout curtains covered the windows, and a large map of Europe, dotted with push pins and arrows, hung on one wall. Scottish Group Captain J.M. Stagg, meteorologist for the Royal British Air Force, held the floor. He and his team of experts had debated what the notoriously difficult to predict weather over the English Channel had in store for the week and reached a dispiriting conclusion: a series of depressions were moving in from the west, bringing with them overcast skies, Force 4 or 5 winds, and low cloud cover. It was, Stagg said, a forecast “potentially full of menace,” and it was met by Eisenhower and his men with grave silence. Ike slept little that night and could only pick at his food the next day. 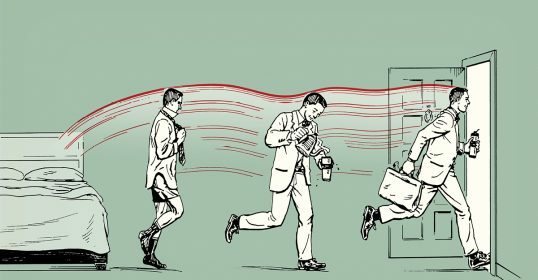 The pressure of the impending decision was increasingly weighing on his shoulders, the tension building up in his bones and sinews; colleagues thought he had never looked older or more tired. To pass the time and get some perspective on his anxiety, Ike scribbled a memoranda in his journal listing all of the things that were worrying him. “Probably no one who does not have to bear the specific and direct responsibility of making the final decision as to what to do can understand the intensity of these burdens,” he wrote. When Ike and his commanders met again at 4:30 am on Sunday, June 4, Stagg confirmed his previous forecast, telling the men that June 5th would see high winds, low clouds, and turbulent waves — conditions which could potentially turn D-Day into a disaster. 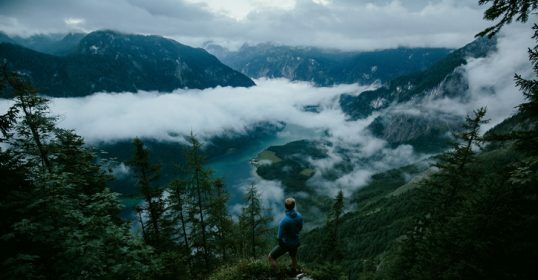 That such a dramatic change in the weather would take place — the early morning was clear and windless — was difficult to believe. And though his commanders were split on moving forward, Eisenhower decided to issue a 24 hour postponement to the operation. A few hours later a furious gale blew in, just as Stagg had predicted. Eisenhower spent June 4 pacing anxiously outside of his trailer, kicking stones and chain-smoking cigarettes in the increasingly stiff wind. He thought of the intelligence report he had received, informing him that Germany had recently strengthened the Normandy front with additional units. He thought of the fact that only 15% of his D-Day troops had ever seen combat before; how would the green soldiers fair as they struggled through the withering onslaught of German firepower and up the beaches of Normandy? If Ike decided to move forward with D-Day despite inclement conditions, the weather could costs thousands of lives and capsize the mission’s success, severely weakening the entire Allied effort. 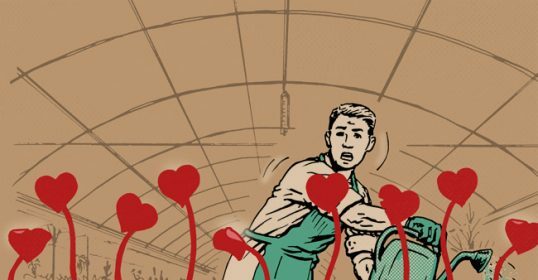 But if he postponed the operation, the possible consequences were just as dire. On the night of June 4th, Ike and his commanders were once again assembled in the Southwick House library, eagerly awaiting perhaps the most important weather forecast in history. Hurricane-like winds raged outside, rattling the panes of the room’s French doors. Rain cascaded in horizontal sheets across the windows. The weather matched the men’s gloomy mood; the chances of the invasion moving forward looked impossibly bleak. So what came out of Stagg’s mouth could not have been more surprising: the rain would stop in the next 2-4 hours and a small, 36 hour window with better winds and visibility would open. The window would close soon after and stormy weather would return. But…the opportunity was there. The men cheered. “You never heard middle-aged men cheer like that!” Stagg remembered. And then the discussion began. Ike and his commanders peppered the meteorologist with questions about cloud and wave conditions, questions Stagg could not answer with 100% certainty. It was tempting to postpone the decision until they could get another weather update at their next briefing — maybe it would shed more certainty on what to do. But Admiral Alan G. Kirk, commander of the American task force, needed his orders to set sail within the hour if Overlord was to take place on the morning of June 6. At 9:45 pm Eisenhower told his staff, “I am quite positive that the order must be given.” Ike gave the preliminary go, and 5,000 ships starting sailing towards France. He could still call them back — the final decision would be made at the next briefing. But a recall would require the ships returning to port to refuel, pushing the next attempt out a fortnight or perhaps a whole month to when lunar and tidal conditions would once again be prime. Ike returned to his trailer for a few hours of restless sleep. He tossed and turned as the wind and rain rattled his trailer. At 3:30 am, June 5, Eisenhower arose for the last weather briefing. The moment of truth had arrived; the final decision had to be rendered at last. As steaming cups of coffee were passed around, the storm shook the walls of Southwick House; the weather outside offered not the slightest hint of clearing, not a bit of evidence to buttress Stagg’s forecast. But the meteorologist reiterated his prediction: the wind and rain would soon let up and a 36 hour window of fairer weather would emerge. Montgomery and Smith remained on board with moving forward; Tedder disagreed, and Leigh-Mallory continued to doubt that the skies would be clear enough for the aerial assault. Stagg left the room; no more weather reports would be available for several hours. 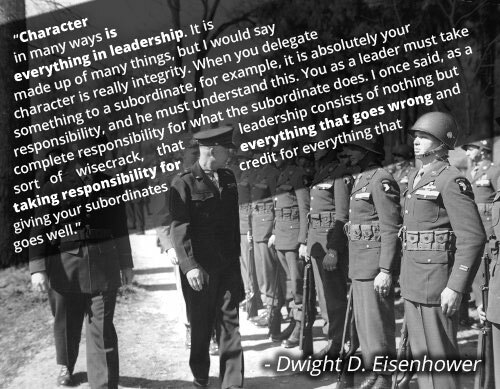 Ike had all the information he would ever have – only he could think through every report, every commander’s opinion, and then act. Once again Ike paced the polished wood floor, chin tucked to his chest, hands clasped behind his back. The room was silent save the crackling of logs in the fireplace. 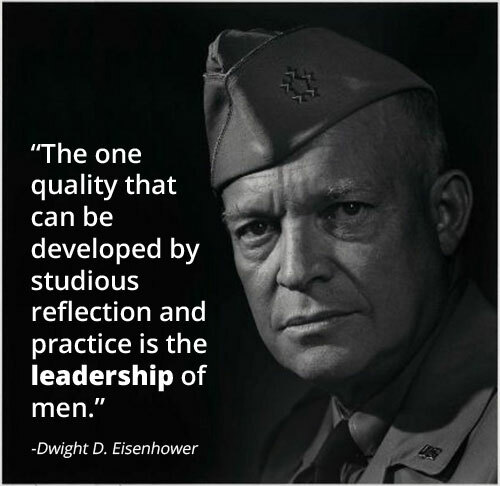 After only a few turns about the room, Eisenhower faced his staff and quietly but deliberately said: “O.K., let’s go.” The men cheered, and then as Ike remembered it, “without further words, each went off to his respective post of duty to flash out to his command the messages that would set the whole host in motion.” Ike was left alone in a cloud of pipe and cigarette smoke. The great wheels of the operation had begun to turn, and now not even Eisenhower could stop them. Moments before he had been one of the most powerful men in the world; now the responsibility for the success or failure of Operation Overlord had passed from his hands and into the hands of the men parachuting into hedgerows and storming the beaches of France. 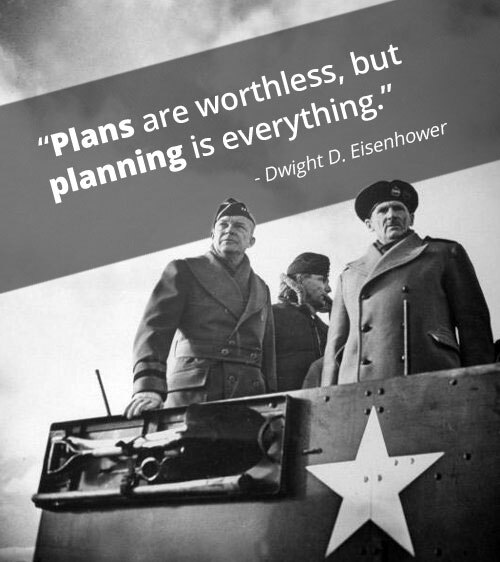 Pondering the way in which Eisenhower made the decision to launch D-Day has given me a lot of insights into how a great leader makes decisions. But the part of the story that sticks with me the most actually comes after he left Southwick House that day. While Eisenhower penned this “in case of failure” note on June 5, he accidentally wrote “July,” showing how much stress he was under. 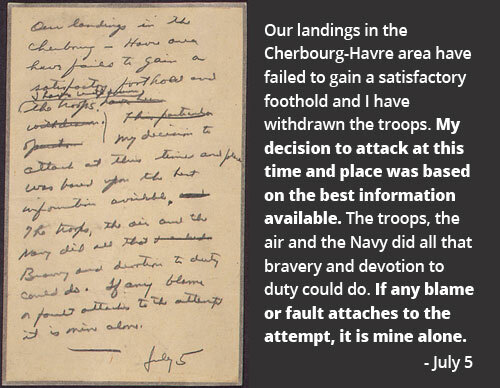 After Eisenhower finished writing the note, he folded up the paper, tucked it inside his wallet, and went to visit with the 101st Airborne Division before they took flight to France.